Gender equality, gender fluidity, choice of the image you project, being who you want to be, being true to your self… all ideas which are very ‘now’. A generation ago ‘that kind of thing’ was not talked about, where it went on it was behind closed doors and people pretended not to know. A very historically innacurate picture of Boudica! In recent years the military have made a big thing about equality and recruiting women and the roles they play in the armed forces have changed. For reasons I can’t understand women want to join the army, navy and air force. (Come to that I can’t understand why a man would want to join up either!) 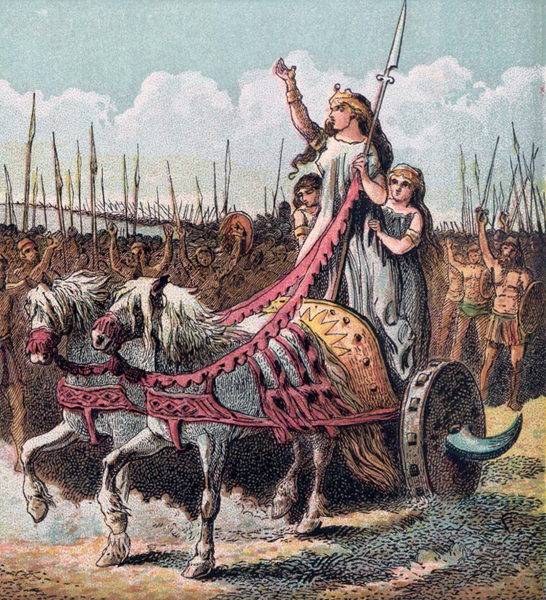 There have always been female warriors, mythical or real—think of the Amazons in mythology—and a few real women have made a name for themselves whist leading armies—Boudica, Joan of Arc… but, on the whole, war has always been considered a male preserve with the women waiting to pick up the pieces. Even in the last few hundred years if women wanted to take on any role other than ‘wife and mother’ they often felt they had to assume a male identity—think of authors like George Elliot. Until the middle of the 20th century a woman had to give up her job in teaching or the Civil Service when she married. It was even more difficult if they wanted to do anything active or adventurous. Then they had to take on, not just a masculine name, but mens’ clothing and persona as well, in other words pretend to be a man. This goes way back in history. An early example would be the Chinese legend/folk tale of Hua Mulan who took her father’s place in the army because he was old and sick. After distinguishing herself as a warrior for 12 years her comrades were astonished to discover that she was actually a woman! In the songs she meets with various fates. 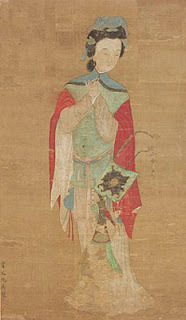 In some, possibly the more ancient ones, she is thrown overboard when they discover her secret as it was considered bad luck to have women aboard a ship; in some her shipmates discover the secret but keep it quiet; in others it is the captain who finds out and takes advantage of the situation himself! Here is The Handsome Cabin Boy sung by Bert Lloyd. 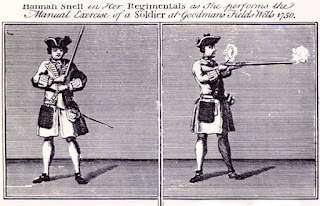 After leaving the army she made a living as a performer on the stage demonstrating drill with her musket. Sadly, she died in Bedlam. An even more romantic tale is the story of Anne Bonny, the Female Pirate. The telling here is from an article Facts & Fiction storytelling magazine, which I edit. William Cormac was a lawyer in Cork. He had a wife but he loved his servant woman, Mary Brennan, much more and they had a daughter called Anne. In order to be together William and Mary ran away to London. They dressed Anne as a boy and called her Andy as a way of helping their disguise but his wife's family tracked them down so they fled to America and settled in Carolina. William bought a plantation and did well in America but Mary died when Anne was just 12 years old. Anne was bold and beautiful with flaming red hair and a fiery temper to match. When she was 13 she stabbed a servant girl with a table knife. Soon Anne married a small-time pirate named James Bonny. Anne was disinherited by her father and they went to a pirate stronghold in the Bahamas where he became an informer for the governor. 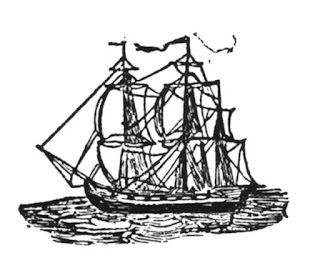 While frequenting the inns and taverns of the Nassau harbourside Anne met and fell in love with Calico Jack Rackham who was a far more serious pirate than James Bonny. They went off together on his sloop ‘Revenge’ and over the next few years she divorced James Bonny, married Calico Jack and had a son who they left in Cuba. 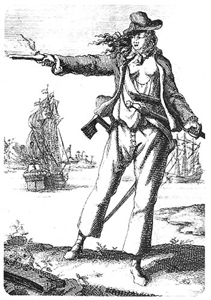 Calico Jack was pretty successful and Anne Bonny, dressed in men’s clothing, played her part. She was her husband’s second in command, fought alongside the other pirates and was as fierce as any. Then they captured a ship bound to the West Indies from Holland. On board was a handsome, young soldier called Mark Read. 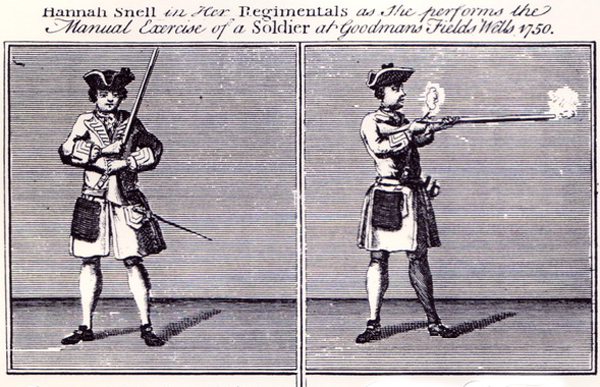 He had already had an eventful life fighting with the British forces allied with the Dutch against the French. He willingly joined the pirates and became a valued member of the crew. Anne Bonny, in her male guise, and Mark Read felt an attraction that was more than just friendship so, one day, Anne took Mark aside and revealed that ‘he’ was really a woman whereupon Mark revealed that he also was a woman named Mary Read! 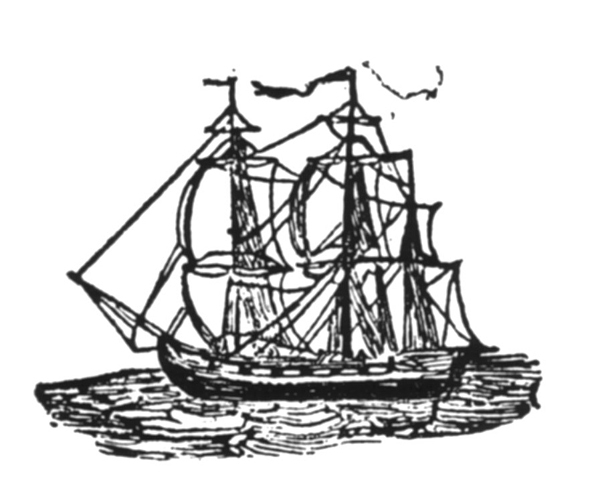 She had fought in the British army as a man, had then married a Flemish soldier, and on his death had once again put on men’s clothing and set sail to the West Indies. Because Calico Jack was becoming suspicious and jealous of their friendship he too was let into the secret, and the three ‘men’ continued to lead their pirate crew until they were surprised and captured whilst holding a drunken party.